Parking lot, ADA, and playground striping. 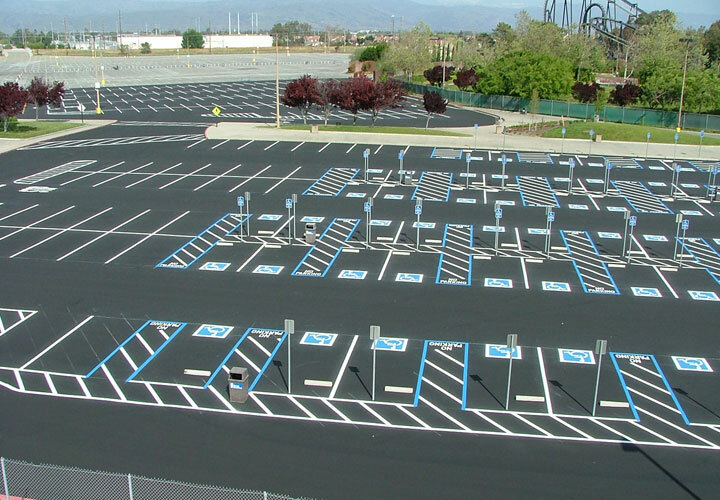 Whether it’s striping parking lots, applying parking lot paint, striping layout redesign, curb painting, parking lot stencils, or ADA compliance striping, we use state-of-the-art striping machines. Our striping crews conform to your scheduling needs, whether it be weekend or nighttime work, which translates to less inconvenience for you and your customers. 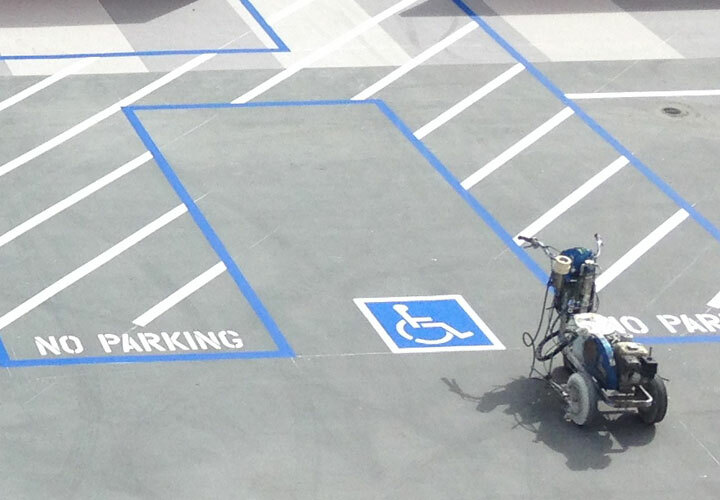 ADA signage is prevalent on all parking areas. Changing state and federal codes must be monitored to keep our customers up-to-date with these changes. DRYCO can fabricate and install any traffic or parking lot sign that’s needed quickly and cost effectively. We also fabricate and install all types of bollards used for protection of outside assets. This economical, quick-dry material forms a uniform reflective and durable pavement marking stripe. The rapid application rate and nearly instant dry times eliminate traffic delays, coning, and material tracking associated with conventional water-based paints. Additionally, it’s higher durability increases the life of pavement markings.